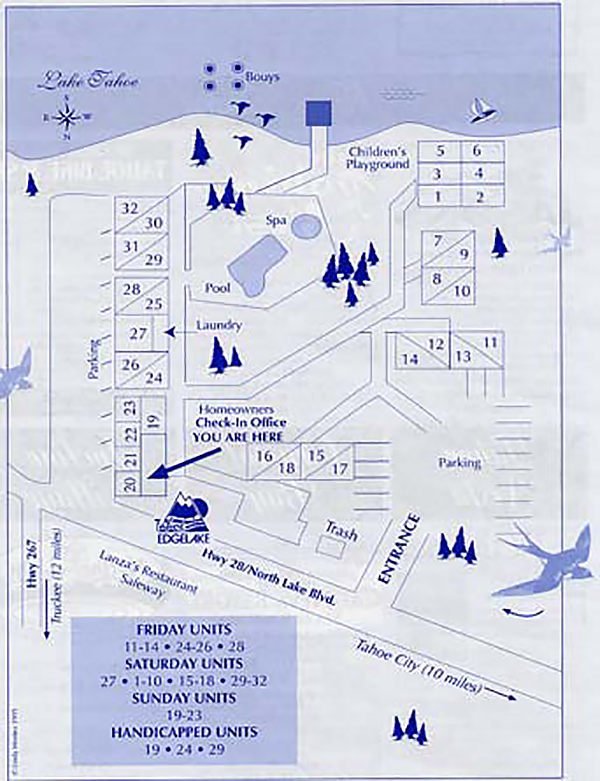 The Tahoe Edgelake Beach Club is located approximately 42 miles from the Reno-Tahoe International Airport in Reno, NV. A little more than one mile up the road you will find Crystal Bay, NV. Host to 4 casinos, the Tahoe Biltmore Lodge and Casino, Crystal Bay Club, Calneva, and the Nugget. Crystal Bay is the perfect place to try your luck nwith Nevada style gaming. There are also twenty ski areas surround the lake, offering a superb downhill adventure. The resort is only seven miles from Northstar atm Tahoe, and a short drive from Squaw Valley, Alpine Meadow, and Diamond Peak. The Tahoe Edgelake Beach Club overlooks 240 feet of sandy beach and the clear blue water of Lake Tahoe, California. In the summer, Lake Tahoe is a haven for boating and fishing. Local marinas offer equipment rentals, and the resort has buoy rentals for watercraft parking. You can spend your time hiking, golfing, playing tennis close to the resort, or just lounging by the resort’s outdoor pool and spa. Copyright © Tahoe Edgelake Beach Club All Rights Reserved.